However, he also admitted that fighting things like election interference, hate speech, and misinformation, all while ensuring users “have control of their information,” is an on-going struggle that will take multiple years to fix. Overall, we've built some of the most advanced systems in the world for identifying and resolving these issues, and we will keep improving over the coming years. Facebook’s troubles seemingly began with the Cambridge Analytica scandal, but the problems really go back further than that. The platform faced numerous accusations of bias in its “News Feed,” and leaks of documents seemingly proving its biased policies. The company quickly stifled these claims with denials and internal investigations. However, once Cambridge Analytica was exposed, there was nothing the company could do to waylay the scrutiny it would bring. Since then numerous accusations have been flung at the tech giant including the sale of private personal data such as users’ 2FA phone numbers to telemarketers. All the negative publicity, whether deserved or not, earned Facebook the undesired award of “least trusted” company in the industry. It beat out second place Twitter by 32-percentage points. Nearly half of users surveyed say they trust Facebook the least with their data. 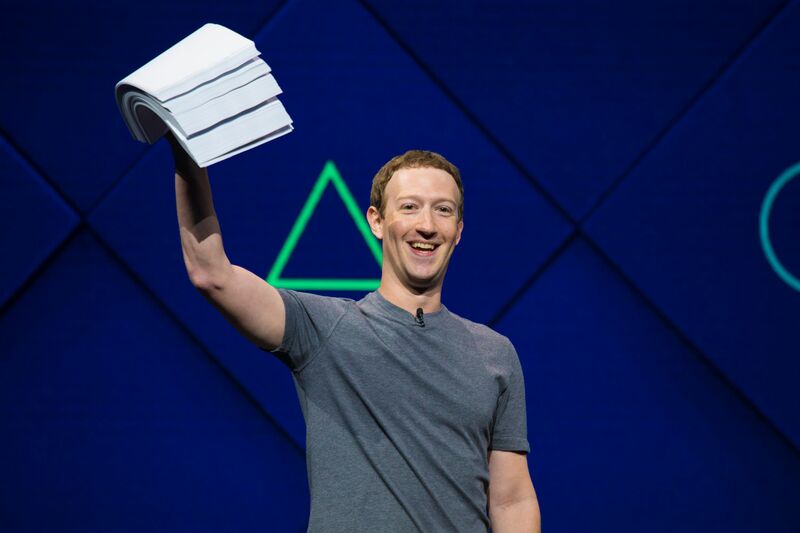 The company’s PR department has been working overtime to save face and Zuck’s public address is just another attempt to redeem the platform in the eyes of its users. In that respect, Mr. Zuckerberg is indeed right — winning back the trust of users is a multi-year prospect. Facebook is over. I left in January to never return. max0x7ba, Jamlad, Darth Shiv and 1 other person like this. Thanks FACEBOOK Once in a while I get reviewed and Facebook ends up banning me temporary but oddly never erased what I said. Then months go by. I got my comments erased on local and global news stating facts, links, and websites that are like youtube but show more truth what's happening around our country and world. Now every so often they just erase my comment and give me the run around that basically someone got offended and watch what you say. Last 2-3 times Facebook erases it. What happen to Free speech? I tried erasing it a while back. They are tricky! They said we will DEACTIVATE your account and unfreeze it when I want to come back. Then they send a large amount of emails saying things like someone made a comment about you or something happen to someone on your friends list and if would like to read it YOU HAVE TO ACTIVATE YOUR ACCOUNT lol. What happen to Free speech? p51d007, JaredTheDragon and seeprime like this. Does this content happen to be sourced from InfoWars? Because your description sounds pretty similar... Lol. I think I remember saying that and I now login daily. I did go for about 5 years without Facebook. Dimitrios and learninmypc like this. I suspect that Zuckerberg is proud of us not learning all of the evil things Facebook does with user personal data. It's business speak for "yeah, we got nailed with Cambridge Analytica, but think of the stuff we got away with! Free speech is sound coming out of your mouth. Go outside and yell some stuff, nobody's going to censor you. Free speech doesn't apply to businesses. They can stop you from using their services or change anything you do on their platform they want. Don't like it? Use another business, there are lots of options thanks to competition. Don't like it? Use another business, there are lots of options thanks to competition. Don't like it? Buy your own domain and police what you want others saying on your IP address. How long before yelling stuff in the public gets you fired from your job because somebody didn't like it? It's sure looks it's going that way. As for alternatives, they are pointless if no one is using them, which is the case, so there is no real competition. Send an email into their customer support. By law, they are obliged to remove ALL your information. No. I stated complete stories to those anti Trump news agencies be it my local news or CNN or CBS with proof. My local news in CT tends to lie a lot and the sheep viewers don't realize it. Yes my news station claimed we were in war with Russia last year when a spy ship was in the waters near NYC& CT. They quickly erased it because it's common for Russia to send a spy boat in those waters for many decades when a new president is in office. We had mothers on the comment section asking, IS MY KID(S) SAFE TO BE IN SCHOOL IF THERE IS A WAR? SHOULD THEY STAY HOME? lol.............. I Also stated LIVELEAK, LEAKEDREALITY, BESTGORE & THEGUDDA with proof with video's of what really happens in America & around the world. Some examples: Be it why a certain thug got shot from a cop or what's really happening in France. Also I stated a few things from Mark Dice on YOUTUBE and certain babies couldn't handle the truth. To be honest I don't like that fat dude from InfoWars. Dude is crazy with how he yells all the time and the other crap he does. That's all well and fine but when they are claiming to be defenders of free speech while also banning people they don't like it gets to be a problem, especially with how ubiquitous they are. They can't use the "free speech is for all" PR line while getting rid of speech they don't like. Zuck seems to be adopting the Trump philosophy of crisis management. Not only is he oblivious to the problem, he looks to it as an opportunity to praise himself. He even adopts a bad (bowl) haircut. When will it stop? Imagine writing a bad review on a product and it getting erase. That's just what I said, bud. The government protects your free speech out in public, it does not protect your job. If your employer sees you as a liability, they can fire you. Go find work at a more sympathetic employer or become self-employed. this already happens, plus people are paid to write good reviews. Also just in case you feel like leaving a bad review they ask something like "don't leave a bad rating, contact us first...."